On September 2nd, Belarus moved one step closer to building its first nuclear reactor by signing an agreement with Russia’s AtomStroyExport for constructing a nuclear power plant in Astravets, Hrodna region. The launch of the first nuclear plant unit is scheduled for 2016 and the second – for 2018. For Belarusian President Alyaksandr Lukashenka – who announced building the power plant during his annual visit to the contaminated Chernobyl zone – a domestic nuclear energy source is a “national security” guarantee. Today Belarus uses minimal domestic electric production capacity and is able to provide for only 10 percent of its energy needs. Approximately 75 percent of its electricity is imported from Russia, a supplier not shy about exploiting the energy dependence of its neighbors turning energy “from a purely economic issue into a political one,” as Lukashenka himself acknowledged. Diversifying energy supplies to Belarus is indeed an exigent matter. But a nuclear plant built by Russia on a Russian loan, serviced by Russian technicians and fed with Russian fuel might be a very good deal for Russia, but will hardly make Belarus more independent. Moreover, the new nuclear plant would supply only 25 percent of Belarus energy needs and would begin operation in 2016 or later, even according to the most optimistic prognoses. What will happen to the high-level radioactive waste from the power plant is still unclear, but in solving this problem, Belarus would most likely also have to rely on Russia (although currently neither Russia nor Ukraine permit the import of radioactive waste). Belarusian Ministry of Natural Resources and Environmental Protection has reassured the population that the nuclear power plant would meet international standards on nuclear and radiation safety. However, the track record of Russian power stations is far from comforting. No further proof is needed when one remembers the Chernobyl catastrophe on 1986 – the worst nuclear power plant disaster in history and the only level 7 instance on the International Nuclear Event Scale. An estimated 260 million curies of radiation were released – about 200 times more radiation than was released by the bomb dropped on Hiroshima. Belarus faced 70 percent of the fallout, and twenty-three years later, one fifth of its territory is still radioactively contaminated. Already in 1992, Belarus was spending 20 percent of its budget on Chernobyl-related problems. Another disturbing example is Mayak, a nuclear fuel reprocessing plant in Chelyabinsk oblast in Russia. Working conditions at Mayak resulted in severe health hazards; by the beginning of the twenty-first century about half a million people in the region have been irradiated in one or more of the incidents. One need not look far back, however. Just this August, about seventy people were killed in an accident at the Sayano-Shushenskaya hydroelectric station. The consequences would have been much more serious, had the station been a nuclear power plant. Despite significant technological advances, nuclear power remains a dangerous energy source. In the midst of financial crisis and borrowing left and right, Belarusian government seems oblivious to the costs of the nuclear power plant – up to $12 billion not counting the expenses on a spent fuel storage facility. For comparison, Belarus’ annual budget in 2008 was about $25 billion. The loan to finance the project will probably come from Russia since Belarusian financial system is just as poorly diversified as its energy. Being slow to send the last $500 million installment of its $2 billion loan to Belarus this summer, Moscow is hardly a reliable creditor, and it has never been never squeamish to use the dependency of its smaller neighbors to its own advantage. Despite all this, in the eighteen years of its independent history marred by the Chernobyl disaster, Belarus has been edging closer to acquiring a nuclear power plant. 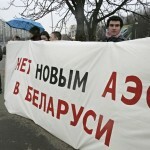 Belarus announced started a program to examine 15 possible sites for constructing a nuclear power plant. In 1996, Belarusian Energy Minister, Valentin Gerasimovm announced that Belarus was seeking $3.5 to $4 billion in aid to build a nuclear power plant. In 1997, the Dubrowna region in northeast Belarus volunteered to host a nuclear power plant. In 2002, Lukashenka named Russia as main partner in the area of energy and nuclear research. The nuclear power station will be built in Astravets, the most beautiful part of the country full of Belarus historical landmarks. The proposed site is just 20 kilometers from the Lithuanian border and 50 kilometers from Vilnius. International law does not allow building nuclear power plants so close to the border without informing and receiving approvals from neighboring countries. However, Lithuania has not been officially notified about the project yet and is concerned about the plans of the Belarusian government no less than the Belarusian citizens. Opponents of the project point out that Astravets is far from being an ideal location for a nuclear power plant due to its wind rose and seismic instabilities in the area. In 1909, the region experienced an earthquake measuring 7 on the Richter scale. The most recent earthquake occurred in 1999. Before deciding to spend an exorbitant amount on the nuclear project, the Belarusian government should read the numerous studies that explain why nuclear power is neither environment-friendly nor cost-effective when compared to other carbon-free or low-carbon options, which include wind power, combined-cycle gas power plants, and energy efficiency measures. 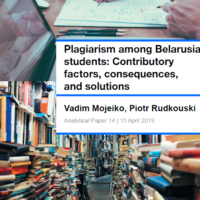 In the end, building a nuclear plant will only deepen Belarus’ economic dependence on Russia and will not contribute to the country’s wasteful level of energy consumption. Most importantly, in the absence of independent environmental expertise and very limited access of media and public to the project, the Russian-built station might be very dangerous to Belarus and its EU neighbors.